Note that “climate change” is not what’s being felt, it is “concerns”. The Australian government operates a sea level station in Kiribati. The following figure shows the last available report (through mid-2009) showing sea level anomalies for 1993 through June 2009. [http://www-cluster.bom.gov.au/ntc/IDO60102/IDO60102.2009_1.pdf] Each grid line is 0.1 m on the vertical scale with the zero being the line above which positive anomalies are colored red and negative anomalies, blue. Note that the 1998 El Nino caused a sea level drop of almost 25 cm (10 inches). Of course, the above is only 17 years of data (the only data available). But NPR claims 3 feet by 2100. That would require a rise as indicated below. 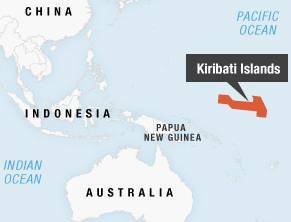 NPR didn’t mention that the islands of Kiribati have actually been increasing in size – they instead refer to it as “A Sinking Nation”. NPR has links to several other articles on Kiribati – none of which mention the studies showing that coral atolls actually grow as the sea rises, but all of them repeat the global warming mantra. 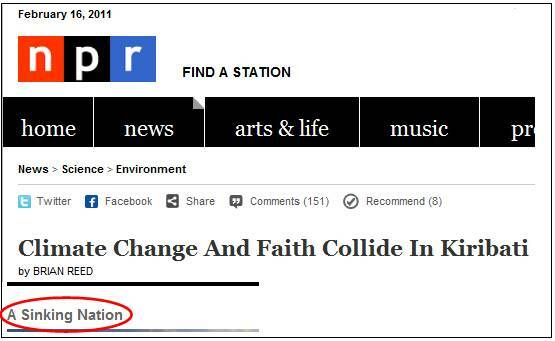 NPR considers belief in the Bible incompatible with accepting global warming alarmism. But NPR’s belief in the imminent demise of these islands while ignoring the actual science smacks of that competing religion – environmentalism. 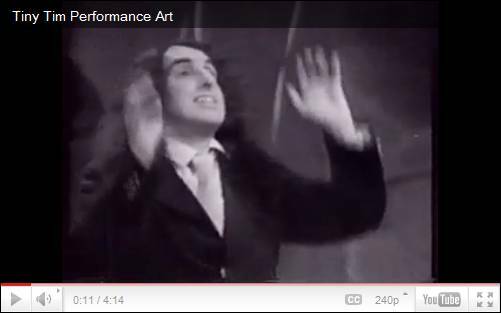 NPR is reminiscent of Tiny Tim as he sings “The ice caps are melting …the tide is rushing in … all the world is drowning to wash away the sin” (forerunner of the green religion).